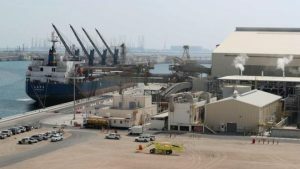 Qatar, the world’s biggest exporter of liquefied natural gas, has been boycotted by some Arab neighbours over allegations that it funds terrorism. Qatar is Opec’s 11th biggest oil producer – which is to say it’s one of the smallest producers in the cartel, clocking in at less than 2% of the group’s output. While its departure might not mean much for Opec’s influence over the oil market, it is important to see the decision within the broader geopolitical climate here in the Middle East. Opec’s de facto leader Saudi Arabia has been leading a regional blockade on Qatar that has seen trade and travel links severed since June 2017. 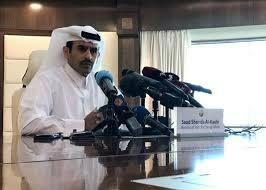 While Qatar’s energy minister insists that the decision was not political, the withdrawal from Opec after 57 years in the club is just another way that Qatar and its Gulf Arab cousins are growing further apart as relations deteriorate. Expectations are high that Opec will reach an agreement on output this week after Russian President Vladimir Putin said at the weekend that he and Saudi Arabia’s Crown Prince Mohammed bin Salman “have agreed to extend our agreement” to limit production. Russia is not a member of Opec, but is one of the biggest oil producers outside the group. However, prices are down sharply from September – when Brent crude was at $81.16 a barrel – because of concerns about over supply.